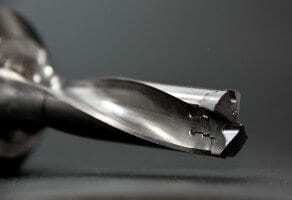 Home » BLOG » How to Sharpen Drill Bits with a File? When you try to drill through a material, and the process is not as smooth as it used to be, then the fault could be a blunt drill bit. Gradually, as you drill through tough materials, the friction you experience would cause the sharp edges of your drill bit to get smoothened which reduces its efficiency. Just like knives, your drill bit also needs to maintain their sharpness to ease your work and make it faster, but before you think about running down to the store to get a new set of drill bits, you can save yourself some money by sharpening your dull drill bits. If you are wondering how to sharpen your bit and maintain your continuous working process, we have some tips to guide you. Even if there are several ways to sharpen your bit, but for this informative article, we would talk about how you can sharpen your drill bit with a file. 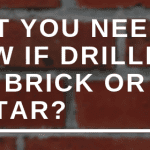 It would be better to have an understanding of your tool before you attempt any work on it, so let us talk about some of the features of the drill bit. If we consider speed, then three of the parts we need to talk about are the lip, the land, and the chisel. The lip is the part of the drill bit that does the actual cutting, they are at the edge, and its part of the drill bit that forms the hole you are drilling. The lip is also the first part that comes in contact with the material you are working on. When you want to sharpen the two lips, it should be done symmetrically, if one part is favored over the other most of the cutting would be performed on one side, and you would have non-straight holes. Right after the lip, you have the land which supports the sharp edge while you cut with the drill bit. This part of the drill bit should be angled so that there is a space between the lip and the material you are drilling through, but the angle shouldn’t be too much, or your bit would chip more often at the corners. The last part of the bit drill we would talk about is the chisel; it shouldn’t be seen as a regular chisel, because it does no cutting action. The chisel is only the line created when the landing from both sides of the bit intersect while the drill rotates. Also, when your drill runs, it smears wood or metal shafts on the lip, so it is better of the chisel to be as small as possible. Unlike every other method you can use to sharpen your drill bits, the file would require no AC or battery power, all you need is some old-fashioned elbow grease. When choosing a file for your bit drill, use diamond files, they are quite cheap and can save your effort and time, especially when you don’t have your regular power tool of electricity nearby. Drill bits with pilot screws or auger should be sharpened differently from other bits. To sharpen a drill bit having a pilot screw, using a diamond needle file is a more practical method. Although the hand filing method is slower than using power tools used for a twisted bit, there is a lesser probability for damage on the screw. So knowing how to sharpen your drill with a file would be an advantage, you get to work on your projects with a fresh and sharp bit anytime. Before going ahead to just getting a file and scrubbing the edges of your drill bit, know that while you use the drill bit, it is bound to have some form dust or debris on it. The first thing you do is clean the drill bit, by wiping off any form of dirt, debris, or grime with a wet rag. Next, you need to have firm grip support while you sharpen the drill bits, so clamp the drill bit on a table, and if you don’t have one, you can hold it firmly in your hands, which may be uncomfortable. Get a proper file to sharpen your bit drill, then place the file on one side of the lip at a 60-degree angle. Remember there are two lips, use an auger file for auger and brad-point bits, and for a spade bit use a mill file. Now you can run the file down the edge of the lip five to eight times, and do the same on the other lip. While you run the tool across the surface of your drill bit, guide the motion in a curvy direction. Furthermore, file off any other blunt edges and metal burrs by drawing the file across the underside of the areas you have sharpened, so in case anything goes wrong, and the drill bit cuts through your hand you wouldn’t have the burrs cutting into your skin. After your filing, instead of water, rub a drop or two of machine oil on the drill, applying it would do more than maintaining it, it would also help to get rid of the metal particles. Your drill bits are chipped and blunt as a result of the landing force applied on them which cannot be supported by force from the drilling action, so your land needs to have a curved shape to back up the lip. You would know that you are having dull bits when the chisel is having problems leading the material into the lip, then you would need to redefine the face of the drill bit so that the lip can roll over into your workpiece. So we have explained the body parts of the drill, the most practical tool to use, and finally how to sharpen your drill with a file.